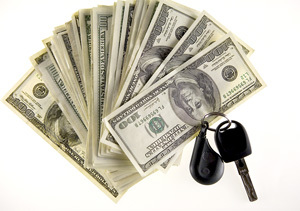 Get cash for your car in Nevada today! Sell your vehicle today and get immediate payment when we pick up your car. We purchase cars in every city in Nevada, sell your car in Nevada now. Easy & Fast – Only takes 3 easy steps to get cash for cars in Nevada. Top Price – Due to our extensive network of buyers/auctions throughout the United States, National Cash 4 Cars is able to offer you the highest price for your car in Nevada. Free Pick-up – Our drivers are able to come to all cities in Nevada to pick up your vehicle, and give you your money on the spot. Convenient – We serve every single city and market in Nevada. Cash for Cars in Nevada today! Courteous – National Cash 4 Cars works with its customers in Nevada to ensure the smoothest selling experience, and strongly values the lifetime partnership with our Nevada customers. Stress Free – National Cash 4 Cars buys any make or model, running or not. We buy used vehicles in all types of conditions. Get top dollar in Nevada today! Expertise – Over 50 years of automotive experience, we are standing by to purchase your car in NV today! Are you trying to sell your vehicle in Nevada? If you answered yes, consider taking all of the work out of selling your vehicle and do business with a company offering cash for cars in Nevada. When you sell your vehicle privately you have to invite people to your home and then you have to give the buyers the entire history of the vehicle. Not only does it take time to sell the vehicle, it can also be very frustrating. If you have tried selling a vehicle privately in the past you know how much time it can take. If you do not have time to set up test drive appointments and you do not have the energy to negotiate, cash for cars Nevada is the answer. When you choose a national cash for cars company you do not have to deal with the stress that is involved when you sell a car. You can log on to the Internet, request a quote for your vehicle and then you will receive an offer in one hour or less. When you sell your vehicle privately on Craigslist or AutoTrader, it can take days to even spark an interest. Reputable cash for cars companies will offer you top dollar for your car with any fees or any obligations. If your vehicle does not run, do not fret. Companies like these are looking for non-operable vehicles that they can sell to dealers for parts. The companies will also pickup your vehicle for free, running or not, so you never have to worry about test drives or towing. When you accept the company's offer, they will send a driver out and you will sign the transfer. After that, you receive your cash and the old burden is towed away never to be seen again. Cash for cars in Nevada companies will buy any type of car in any type of condition. They will even buy damaged vehicles and totaled vehicles if you were involved in an accident. Make sure you choose a reputable company offering the best price for your vehicle and turn your vehicle into cash in as little as 24 hours. Request your offer online and you will receive a phone call today with an offer. Get the money in your hands without all of the stress and spend the money on a new car or on something you have been waiting to buy for months.